yster Company has announced the receipt of a grant from California Climate Investments (CCI) to support the development of a zero-emissions container handling truck powered by a Nuvera® fuel cell. 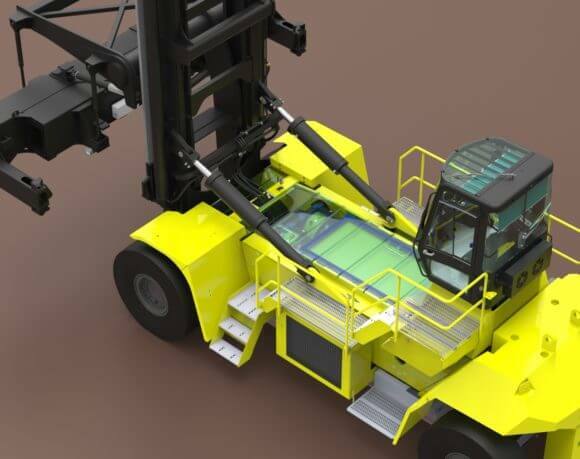 The funding, awarded by the California Air Resources Board (CARB), part of CCI, the state of California’s climate change-fighting, cap-and-trade program, aims to help Hyster and its partners develop a zero-emissions container handler for an end-user in the Port of Los Angeles. To receive the award, recipients must meet defined business practices and overall rigorous performance measurement standards. These standards are reviewed and updated annually to represent the most critical business activities and performance excellence principles necessary to keep pace with evolving customer expectations and industry dynamics. To follow the latest developments in zero emissions handling and for more information visit www.hyster.com and http://www.caclimateinvestments.ca.gov/.